← REDUX: The Day Ozzy Went New Wave…And Disco! OMD, as usual in their third phase, discussed the making of their latest album well in advance of its September 2017 release. The name of the album was revealed as a song title mentioned by McCluskey as early as January of 2015. The first single was released a month prior to the album, when “Isotype” appeared. The song title referred to the Austrian pre-war design practice of the International System Of TYpographic Picture Education. As OMD a concept for a song as could be. The album itself was pre-sold on Pledge Music in various bundles, including the now mandatory DLX boxed version with a demo disc an other features. The band also pre-sold a subscription to all three of the 12″ singles [limited to 1000 copies each] they planned to release from the album. This last option I also went for since I have the collector’s sickness. I have bought all most↓ of the singles on vinyl and CD from the band’s third phase. The cover art for each of these was taken from the visual language of the album cover design, as created by John Petch; a Liverpool artist working as a painter since the 60s. His penchant for op art derived canvases found a fan in Andy McCluskey, who gave the job of designing the campaign to him. 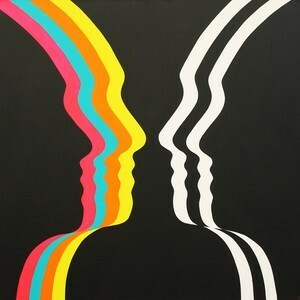 The album performed well for OMD. It debuted at number 4 in the UK album charts; their best showing since hitting #3 with “Sugar Tax”…27 years earlier. OMD’s campaign during their third phase had shown their ability to grow their audience from release to release while keeping their eye closer to their core values than it had been during ’84-’96. ↓- I have not purchased the two expensive, import-only RSD 10” singles. The album opened with a bang. The second single, its title track, led off the album with an embarrassment of strengths as McCluskey railed against notion of capitalism as a balm for an individual’s emotional needs. The music was tightly coiled and energetic with a “hey-hey-hey” backing vocal hook that would not quit. Of course, once I heard it, I could not get out of my head how OMD seemingly cribbed it from the…Van Halen song “Ain’t Talkin’ ‘Bout Love.” That was the last thing I would have expected from OMD, but they’ve done weirder things! I thought that McCluskey might have been familiar with Apollo 440s [they remixed OMD a year later in 1998] drum + bass deconstruction of the Van Halen song in 1997 as “Ain’t Talkin’ ‘Bout Dub,” but that one only sampled the guitar hook, not the backing vocal hook that OMD so adroitly lifted here. At least this one served to drop that hook into an upbeat piece of OMD technopop that had “classic” stamped all over it. “Isotype” was this album’s excursion into Kraftwerk pastiche territory. 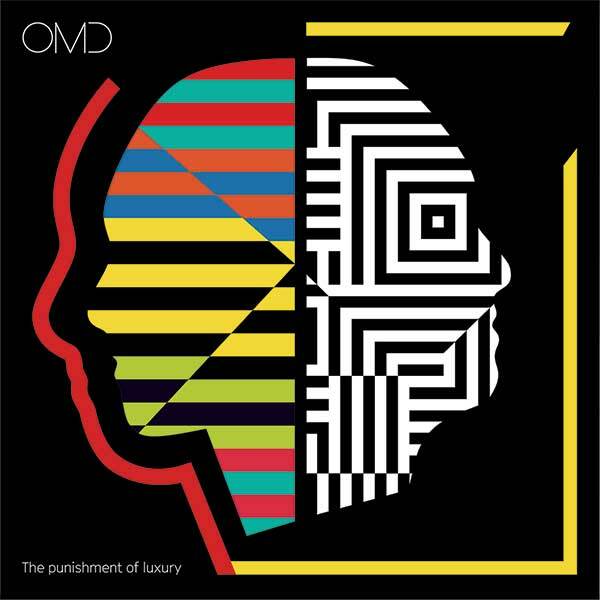 This had been an OMD penchant from their earliest days, and when they reactivated, a part of their artistic DNA that had returned with a vengeance. Even during the specious solo-Andy years, they still performed a good cover of “Neon Lights,” showing the imprint of the Düsseldorf band on even the most compromised version of OMD. This was an expansive song of over six minutes in length that recalled classic Kraftwerk phase two material from their salad days. Paul Humphreys made certain to give it one of his winsome melodies that flowed euphoniously to the pleasure centers of the brain. Mine at least. 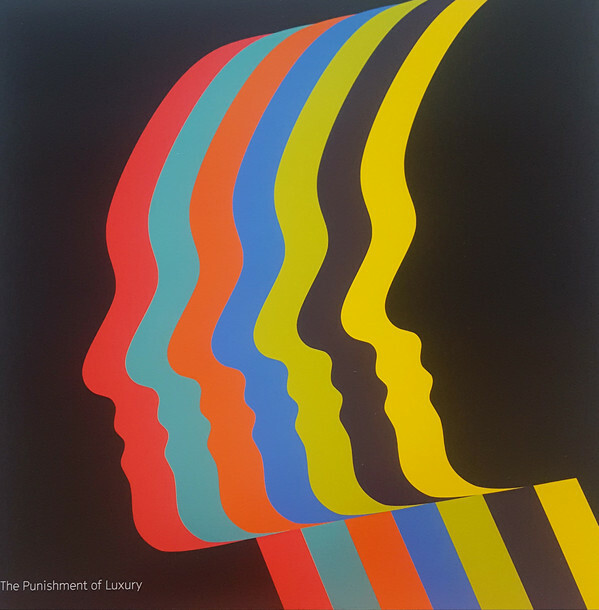 Lyrically, the song seemed to be structured along similar lines as their modern classic “History Of Modern [part 1].” Both songs featured McCluskey quantifying objects and criteria in a verbal list to a compulsive synth pop melody. Every this, that, and the other that would either be metaphorically conveyed with an isotype illustration, or would cease to exist once the universe re-booted in the case of the latter song. It bears mentioning that the distinctive synth patch favored by McCluskey since the early 90s when he co-wrote and sang “Kissing The Machine” with Karl “Kraftwerk” Bartos, made it’s now mandatory appearance on this song. As it had on the last two albums as well. The tune here rolls across the autobahn like a Mercedes. Listen and watch below to animator Henning M. Lederer’s animated video for the song. This entry was posted in Core Collection, Rock GPA and tagged 2017, Iso, OMD, Punishment Of Luxury. Bookmark the permalink. The video, especially the colors, reminds me of the art of Virginia Lee Burton. EUPHONIOUSLY!!! An “OMD word,” if ever there was one, to adverbially convey their effect on us! English Electric’s opening went right to the endorphin centers of my of my brain and geared me up for a flood of musical pleasure. TPOL opening increased the dopamine receptors leading to that addictive satisfaction the OMD Mk. 3 albums have provided.